The Ernst Bike Trail is a five mile long asphalt trail traversing a rural area consisting of woods, meadowlands and agricultural fields. Crossing terrain with imprints of Ice Age glaciations, the trail passes through the lush bottom lands of the French Creek Valley. With 66 species of fish and 27 species of mollusks, French Creek is Pennsylvania's most biologically diverse body of water. The trail is planned to cross Conneaut Marsh home to nesting Bald Eagles and many migrating bird species. An additional two mile segment is anticipated to be completed in 2011. 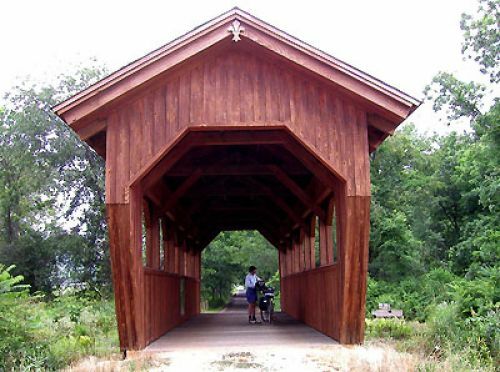 The trail also includes the only covered bridge in Crawford County.